The Pink Willow Tree is well known for her art on fabric. She specializes in Hand dyed wearable art. "Smooth ombre gradations, solid immersion dyes, Rainbows of all kinds, beautiful low water immersion gradations, natural dyed goods and stunning acid dyes in addition to other types of Art on Cloth." Open since 2011, you can scroll through her albums as a virtual wearable art-show! 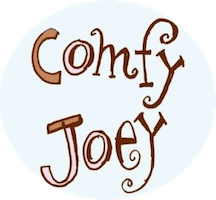 Comfy Joey has been making premium quality linen ring slings since 2009 in Boise Idaho! 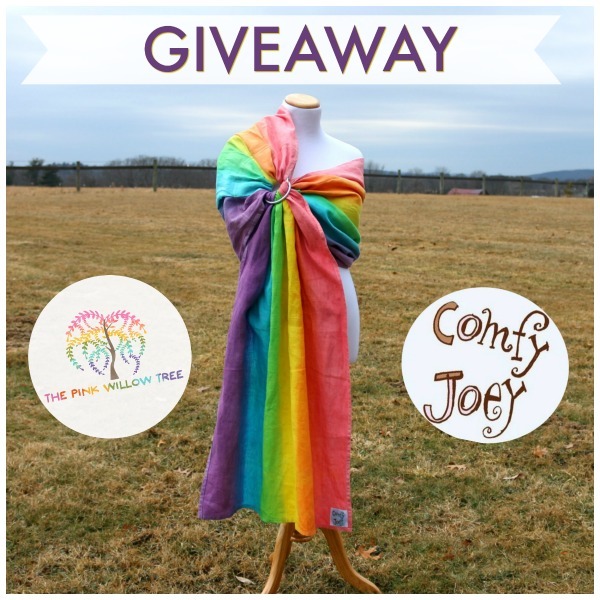 Made with the CJ Hybrid shoulder, using a series of pleats and structure to make a comfortable shoulder, Comfy Joey is well known for great service, love for babywearing libraries and a huge array of colors and custom work! Grapefruit is so beautiful! But this rainbow is incredible, too...perfect for my rainbow baby! Kaleah Seitz, would love to have this for my rainbow baby! Sullivans Bay *SEA-GREEN LINEN* is my favorite. Ahhh what a beautiful ring sling!! I'm obsessed with rainbows!! Never used a ring sling before. Looks like it would make ups in parking lots so much easier and quicker. I’m a homeschooling mom with two ASD children. Winning this would be such a blessing. It would help me tremendously as I can wear my 16 month old and teach my other two children. Thank you for the opportunity!